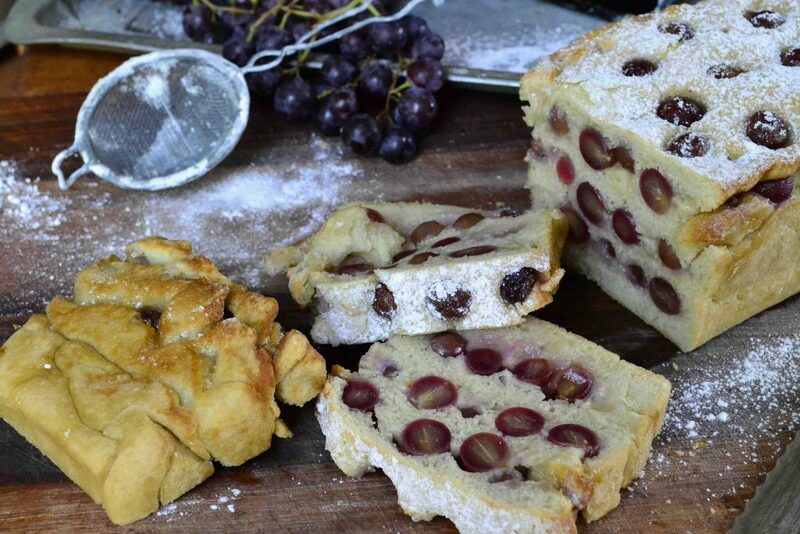 I stumbled upon this recipe for schiacciata all’uva (Florentine Grape Bread) whilst looking through this fantastic Italian food website. 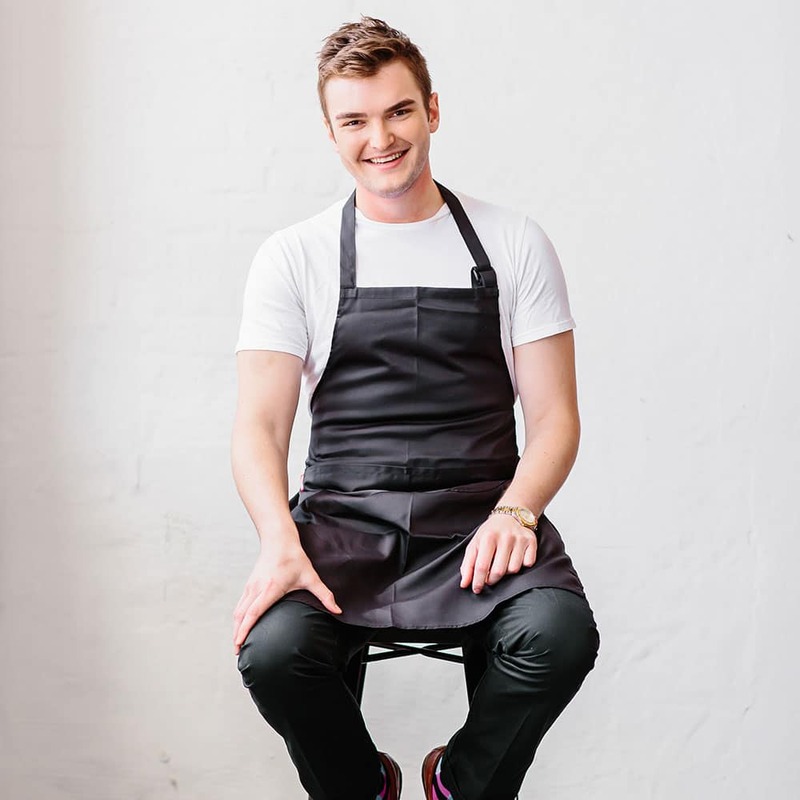 As we are in the peak of grape season in South Africa, I thought it fitting to try and do some great grape recipes. 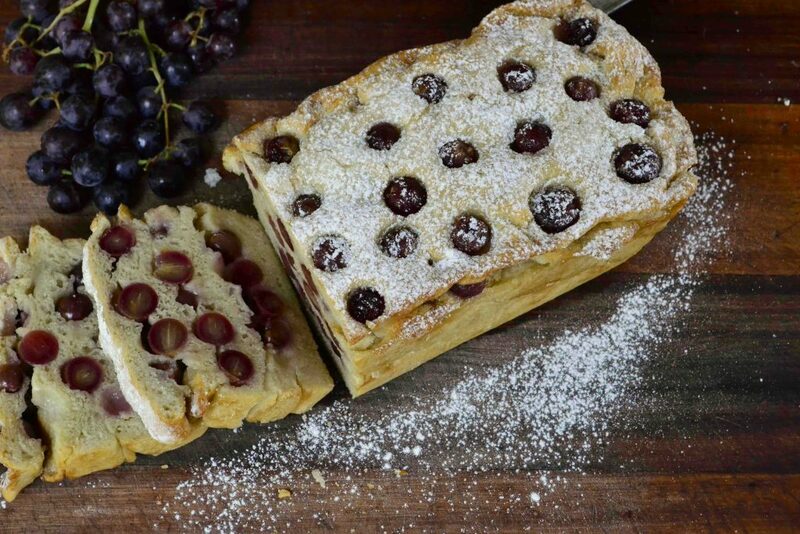 This morning tea-time treat has delicious, plump, soft grapes in a delicious olive oil infused simple bread. 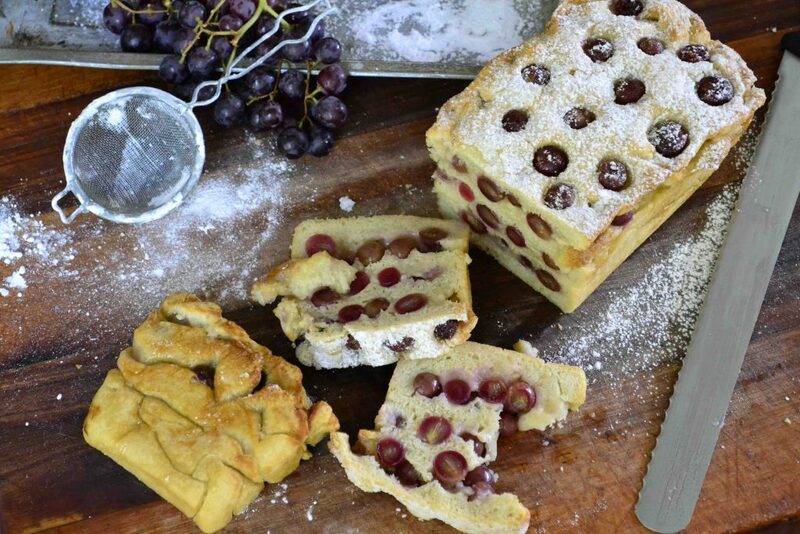 I used sweet red grapes, but if you are able to get your hands on concord grapes, the result will be outstanding as they become jammy and gooey and will make this sweet bread all the more decadent. When making this, you can look forward to simple, harmonious flavours which really hit the spot. And, of course, many of you will be happy to know that it’s also vegan! Adapted from the recipe by Emiko Davies. Dissolve the yeast in the warm water with a tablespoon of flour and leave it to foam. Make sure that the foaming happens – if not, start the mix again. Sift the flour and add the yeast mixture into it. Mix by hand until it comes together then add one tablespoon of olive oil. Transfer to a floured table surface and knead until smooth and elastic (about five minutes). Place into a lightly oiled bowl and wrap. Leave to prove for about an hour in a warm spot or if you have the time and then place in the fridge to prove overnight. This will improve the flavour and aroma of the final product. Flour your hands and remove the dough to a floured surface. (It should be soft and sticky if you have made it successfully). Roll the dough out so that it is even. Spray a large bread tin with non-stick spray. Cut a piece of the dough out to fit the bottom of the pan, allowing the edges to be slightly raised so that the next layer can be fixed to it. 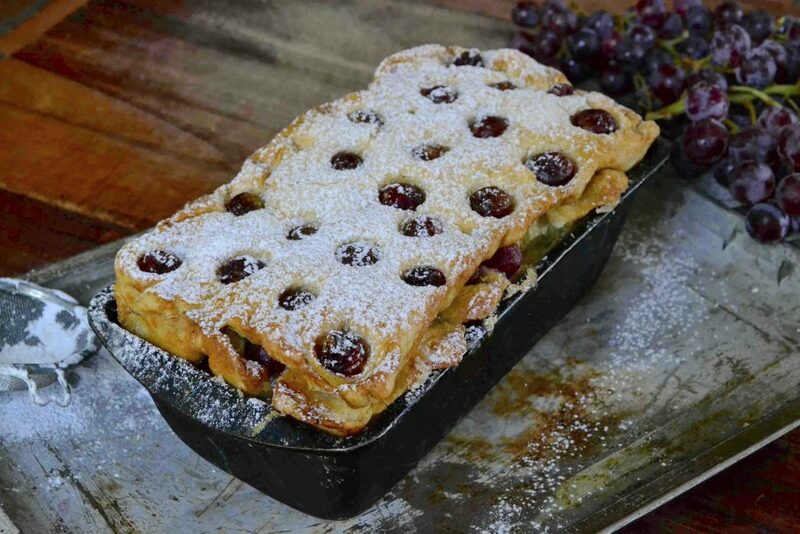 Scatter a handful of grapes onto the bottom layer with a glug of olive oil and a sprinkle of caster sugar. Place another layer of dough on top of the first, trying your best to crimp the two layers together around the edges. Press down and repeat as per the bottom layer. Repeat this process until the dough, grapes, sugar and olive oil are used up. Bake in the oven at 130c for twenty minutes then raise the temperature to 150c for a further forty minutes. The bread requires a long and slow cooking time in order to cook the centre properly. If you wish to have a batch done in around thirty minutes altogether, you can do a double layer on a flat tray which works just as well.